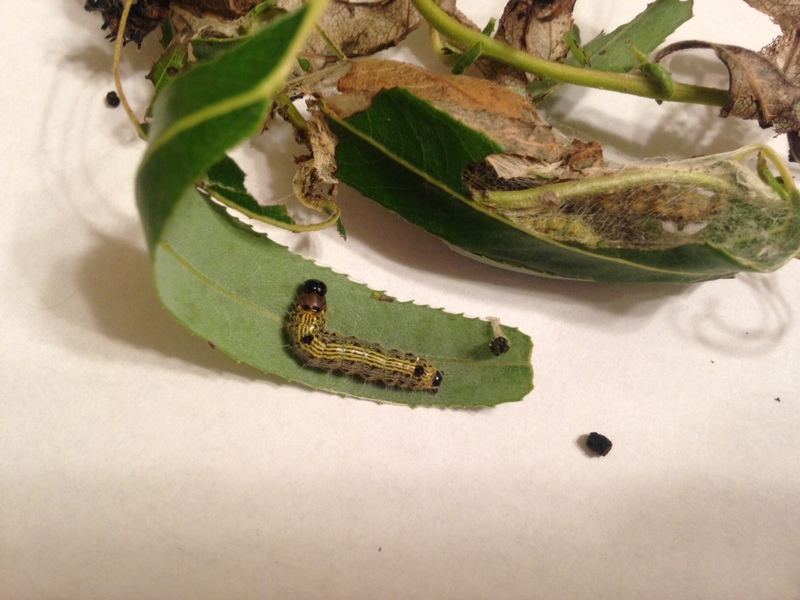 The poplar tent maker caterpillar (Figure 1) is gray with four thin yellow lines running the length of the body. These caterpillars have one distinct black bump behind the head and one near the end of the abdomen. They live in webbing on poplar and willow. The effect is mainly aesthetic; defoliation should only be a problem on small landscape trees. These caterpillars are about 1½ inches long when mature. They will move to the ground and pupate, staying there for the winter. ‹ Are Fall Webworms a Threat to Horses?